This is really the updated, wide plated version of the original GHDs and you know what? The original GHDs are still better than many competing brands new stuff. There’s a lot to be said for that. This set doesn’t mess around with unnecessary design features and instead does its job effectively and quickly with a couple of added safety and longevity features. GHDs have a reputation for lasting years at a time and this is an investment that will pay off. If you pay less than this you may find it takes you an hour to tackle your thick hair. With these, you could be out of bed and out the door in under 15. GHD changed the state of hair straightening with not only their product, but their advertising. Founded in 2001 after a collaboration to buy a South Korean iron design, GHD spread by word of mouth until it was so popular, advertising was just an added bonus. They remain one of the leading hair straightening brands after inspiring numerous copycats and are such a trusted name that they can retain their customers despite similar products being on the market at lower prices. The quality and price of their straightening tools have remained impressively consistent over the years. 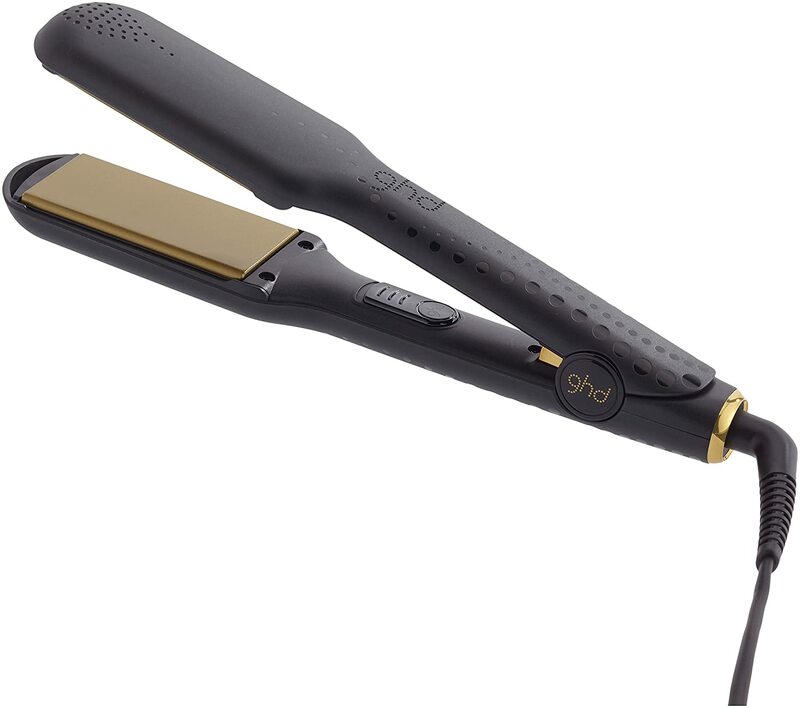 This is a classic-style GHD product with the original black casing and gold ceramic plates. 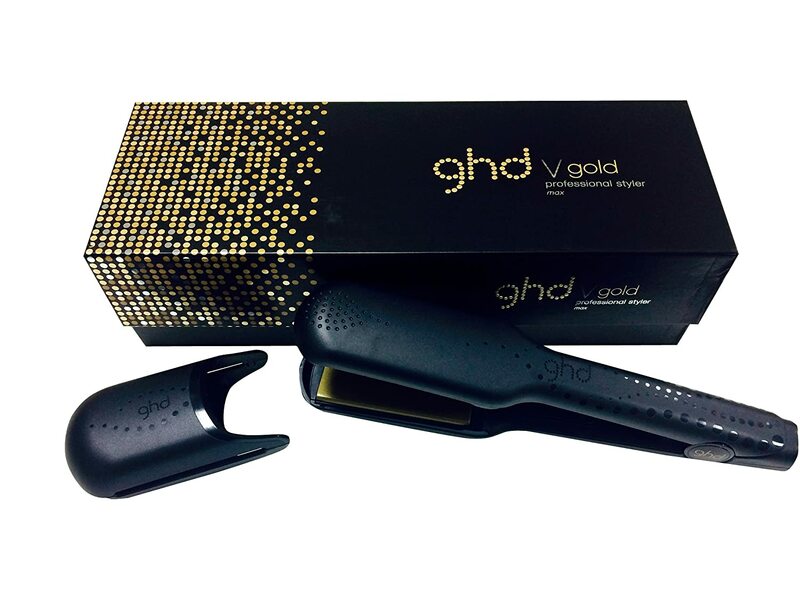 GHD never originally bothered with much decoration and instead leant on the quality and usability of its products to sell – which worked well. These straighteners are a wide-plate design for thicker and afro hair. The wide-plates are perfectly suited to thick hair; even thick, curly hair and can tackle it a lot faster than the narrower plated versions can. There’s zero catching around the edges and hair slides easily through the floating plates that are designed for even heat distribution. No longer will thick haired people have to spend an hour on hair straightening! These GHDs heat up super fast and turn off automatically after 30 minutes when unattended to save you running back from work to check you turned them off (not that I advocated leaving them on because of this, but still, it’s reassuring). Despite the heat of these, hair never turns frizzy and instead the plates leave it smooth and silky. Heat protection spray is always a good idea when using any hot appliance on your hair but even without, hair doesn’t feel damaged. The silky straightness should last easily throughout the day, sometimes even overnight until it gets wet in rain or a shower. This is one of the notable things about GHD technology – it’s long lasting and you shouldn’t need to touch up your hair if you’ve straightened it the same day. The same thing really goes for the iron itself. GHDs have, in my experience, always lasted for years if taken care of properly. Treat these well and you won’t have to replace them for a very long time. 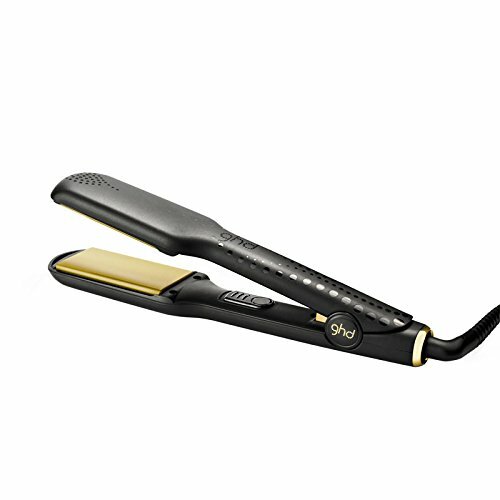 It’s hard to find a pair of straighteners that will cope with long hair quickly and sleekly and I think that the price for these reflects their quality and reliability. If you have challenging hair then pay the money and lead a stress-free, sleek haired existence.